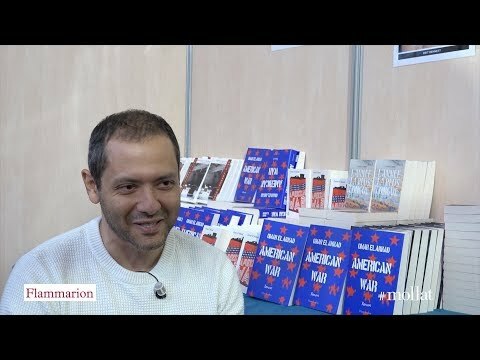 Omar El Akkad est un romancier et journaliste canado-égyptien. Il a travaillé en tant que journaliste pour le "Globe and Mail", et son reportage sur un complot terroriste lui a valu le National Newspaper Award for Investigative Reporting en 2006. Son travail l’a aussi amené à traiter des interventions de l’OTAN en Afghanistan, des procès militaires liés au Camp de Guantánamo, du Printemps Arabe et du mouvement Black Lives Matter. "American War" (2017) est son premier roman. Il vit aujourd’hui dans une forêt au sud de Portland dans l’Oregon. She thought about how much easier it would be for everyone if all these would-be statelets were simply allowed to break free from the Union, to form their own miniature nations along the fault lines of region or creed or race or ideology. Everyone knew there had always been fissures: in the Northwest they were constantly threatening to declare the independence of the proud, pacifist Cascadia; south of Cascadia so much of California, Nevada, Arizona and West Texas was already under the informal control of the Mexican forces, the map of that corner of the continent slowly reverting to what it was hundreds of years ago. In the Midwest the old-stock nativists harbored a barely restrained animosity toward the millions of coastal refugees who descended onto the middle of the country to escape rising seas and severe storms. And here, in the South, an entire region decided to wage war again, to sever itself from the Union rather than stop using that illicit fuel responsible for so much of the country’s misfortune. Celui qui mérite un châtiment de tes mains, c’est celui qui te blesse. They wore tattered uniforms of no consistent color or style, composed of whatever was available to them – black jeans, cargo vests, duck hunter’s camouflage, fatigues from foreign armies smuggled aboard the aid ships at the request of the rebel leaders. Their weapons were also smuggled in, or else salvaged from the attics and basements of parents or grandparents – the guns often older than the boys who carried them. They were, to a man, untrained and ill-equipped, and ahead of them to the west lay certain death at the hands of a superior army. But behind them, in the dead-end towns where they were born, lay a slower kind of death – death at the hands of poverty and boredom and decay. Enfant, je vivais avec mes parents, mon frère et ma soeur dans une petite maison au bord de la mer du Mississippi. A l'époque, j'étais heureuse. Le soleil a traversé un pélerinage de nuages pour venir braquer son oeil imperturbable sur la mer du Mississipi.